Photo courtesy of Mike Scott | URI Track & Field, Sorlien Invitational, Casey Burley won in the triple jump with a 50-foot jump. 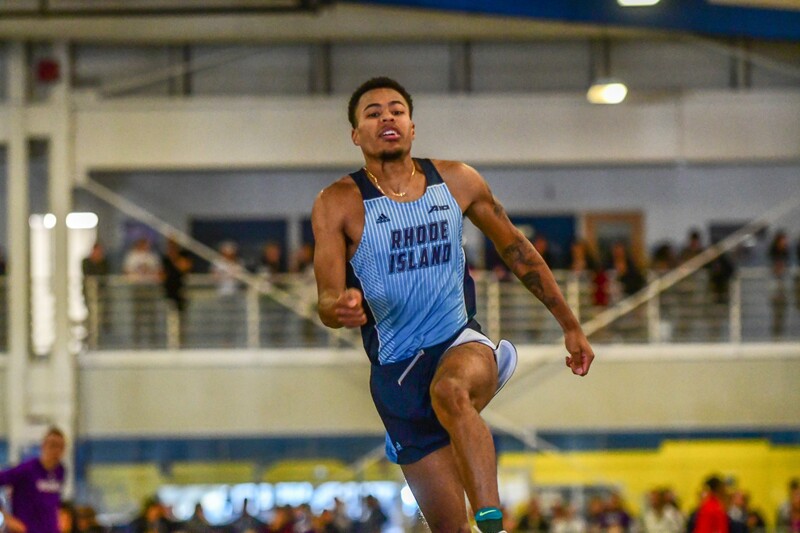 University of Rhode Island men’s track and field senior triple jumper Casey Burley jumped 50 feet at the New England and Atlantic 10 Championships this past season. Burley is a four-year senior who competes in the long jump and triple jump. Achieving a distance of 50 feet in the long jump is a highlight for many athletes, and Burley was not expecting to be able to jump that far during the indoor season. Burley had recently undergone knee surgery in November and was using the indoor track season to become re-acclimated with competition and high-intensity jumping. Burley was able to complete the lengthy jump not once, but twice within the season. The first time was on Feb. 3 at the New England Championships in Boston, and the second time occurred just one week later at the A-10 Championships where he was named the Field Performer of the Weekend. Burley began his track and field career during his freshman year of high school in an attempt to stay in shape for spring baseball season. During his final meet, his coach decided to enter him into the triple jump. Burley had never jumped before and learned the technique and form on-the-spot at the meet. Burley continued to participate in the event throughout high school and has continued steadily throughout his senior year at the University of Rhode Island. With one season left before graduation, Burley has aspirations to make the NCAA championships. He is confident that outdoor season is his better season for jumping. Burley is glad to have these honors and recognitions, as he sees them as validations for his intensive training and dedication over the last eight years. Burley also noted that the awards and honors showed the progress he has made over the course of his career, showing the pay off. Outdoor track season starts on March 2 with the IC4A Championships in Boston.